Munich - He may have some of the best tools on the market, enriched by the Bundesliga's record buy Javi Martinez, but getting the best out of them still takes the talent and a feel which Jupp Heynckes has shown since August. The first challenge Heynckes faced was trying to lift his side's spirits after one of the club's biggest ever disappointments - defeat to Chelsea FC in the final of the UEFA Champions League inside their own Allianz Arena. But over the intervening three months, heartbreak at that defeat was transformed into motivation to succeed in the new campaign, the catalyst for which was provided by beating Borussia Dortmund in the Supercup. Fielding largely the same side which missed out on silverware in such agonising fashion in May, Heynckes had changed one thing: their mentality. Bayern had rediscovered their winning gene, and the clever additions of Dante, Martinez and Mario Mandzukic, with the squad-enrichment provided by Xherdan Shaqiri and Claudio Pizarro, ensured everybody was kept on their toes. The addition of Euro 96, Bundesliga and Champions League winner Matthias Sammer as sporting director has also given them an added mental edge. A new Bundesliga record of opening with eight wins in a row was impressive, yet continuity was not the secret to that success, as one might imagine. More important was Heynckes' selection policy, which meant nobody, not even captain Philipp Lahm or vice-captain Bastian Schweinsteiger, were guaranteed a starting berth. Conversely, Shaqiri, Pizarro and Anatoliy Tymoshchuck were no bit-part players. 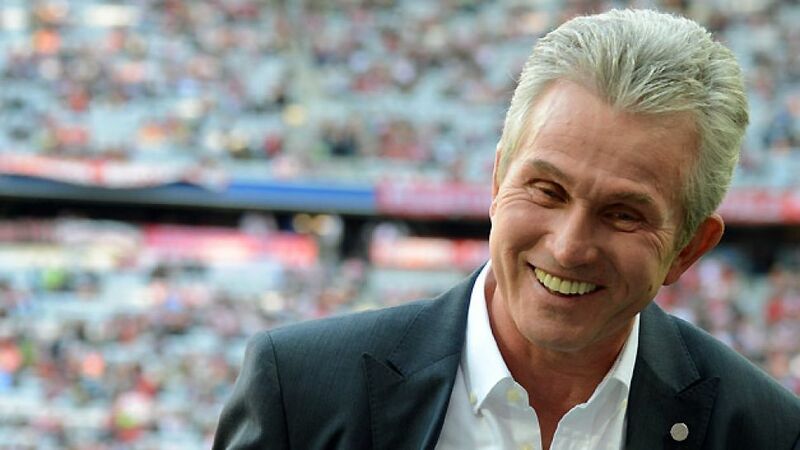 Everybody has contributed to Heynckes' masterful first four months of the season. There have been but three blemishes on Bayern's copybook. Defeat to BATE Borisov in the Champions League was the first and ultimately insignificant one, while Bayer Leverkusen and Borussia Monchengladbach have both made the Bundesliga slightly less of a one-horse race. Thanks to Heynckes, though, Bayern can put the champagne on ice with a certain degree of confidence that the corks will be popping in May.